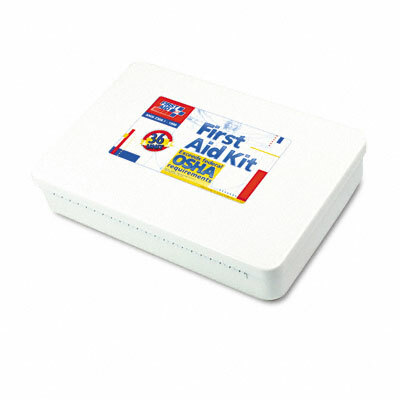 Meets ANSI Z-308.1-2003 standard only when the required minimum fill is maintained with first aid products marked “ANSI Z-308.1-2003”. Metal case is wall mountable (hardware not included). Meets ANSI Z-308.1-2003 standard only when the required minimum fill is maintained with first aid products marked “ANSI Z-308.1-2003” Meets federal OSHA requirements Full-color reorder schematic Metal case is wall mountable (hardware not included).